The world you know now thrives on entrepreneurship. Gone are the days when you queue up to submit your job CV to un-welcoming employers. Now is the time to have clients, customers, and other business associates queue up to do BUSINESS with you. Good question! Let me take you through memory lane. Sometime in late October 2013, TwizzleFrisky Apparel, a start-up clothing company currently based in Nigeria formed a partnership with Barlow Designs, also a start-up printing company. Their sole aim was to form a formidable alliance to take the custom apparel & printing industry to the next level in Africa. A week after that, precisely on the 30th of September they were also part of ‘The Annual Green White Green Models Nite 2011 & Nigerian Models Achiever’s Award Nominees Party. The party was a night of music and runway coupled with a bit of comedy. 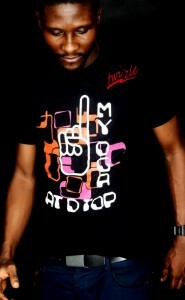 In November 2012, the company announced its new line of apparel dubbed, ‘anakara teez’. The campaign was a successful one with traditional Ankara fabric blending smartly with cotton, velvet & other t – shirt fabric. 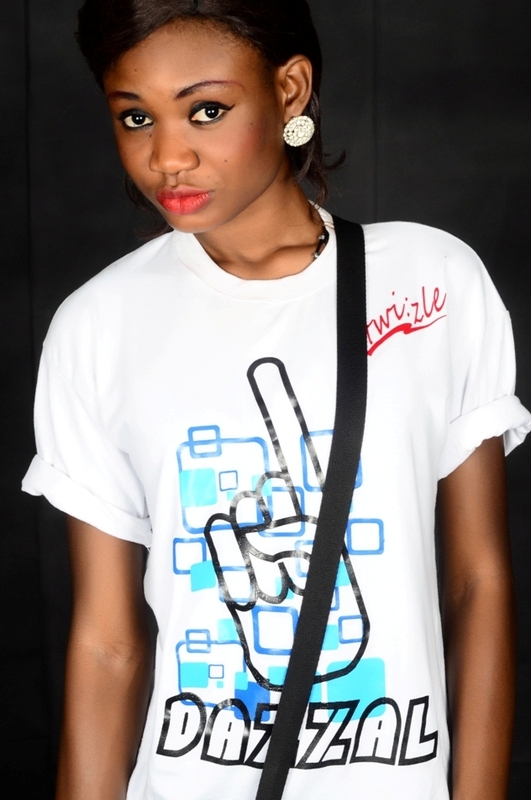 @Ms_frisky, the co-founder of TwizzleFrisky Apparel was recently named by a fast growing popular online magazine, ‘Sugar Brands TV’ as one of ‘The Most Sophisticated Babes in UNILAG 2013’. You can follow her on Instagram on @msfrisky. Balogun Adeleke, a Mathematics graduate from the University of Lagos is the founder of this printing start-up with offices in Ebute Metta and Shomolu, both in Lagos. He has been in the business for well over 15 years and is still waxing strong with numerous now successful printers groomed & trained under his company. 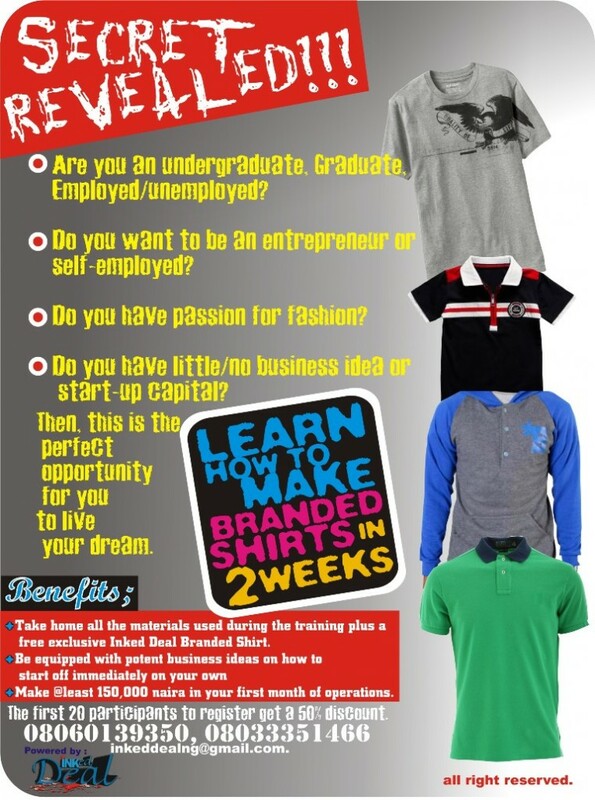 Both indigenous companies gave birth to Inked Deal Academy, a custom apparel & printing consultancy firm poised to empower the teeming entrepreneurial minded individuals in a ‘do-it-your-self’ scheme. They are set to organize their maiden edition of an intensive 2 weeks training course which would empower over 50 trainees in several skill acquisition schemes. 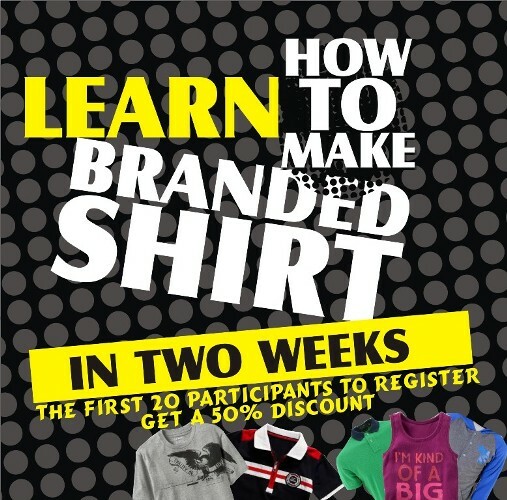 This training will cover areas of merchandising, screen printing on apparel, sublimation printing, aspects of tailoring, brand creation, identification of niche markets and other meaningful business ideas to launch the successful trainees into the entrepreneurial market with little or no start-up capital. Details of the training would be convened on strict confidence ONLY to the interested applicants. Call any of these numbers if you feel you are among the chose few.